Abbotsford – (Nichola Derksen, Abbotsford Economic Development) – By definition to be “Smart” means to be clever or bright, so what does it mean to go from being Smart to being Intelligent? Back in October of 2018, the city of Abbotsford was named one of the Smart21 communities of 2018, by the Intelligent Community Forum (ICF). The list by ICF was comprised of 10 nations on 6 continents, including: Canada, the United States, Taiwan, Australia, Finland and France from nearly 400 overall submissions. Becoming an Intelligent community is a continual evolvement process; to be recognized by ICF as an intelligent community is to complete a detailed questionnaire providing examples on how Abbotsford is maintaining its global competitiveness by capitalizing on its broadband infrastructure in 6 core areas, for more information see our website. The Top7 Intelligent Communities of 2019 will be announced on February 11th in Quebec City. The best of the best will be rubbing elbows amongst one another, and those cities whose community, government and business sectors have come together to embrace technology will be awarded this prestigious recognition. Abbotsford is known for being a business-friendly testing hub – an incubator for thoughts and ideas. At the nucleus of all this, is Abbotsford’s adaptive and innovative culture. Abbotsford knows that connectivity will position our community for the future. The City of Abbotsford worked with Telus to secure an investment of wide spread fibre deployment and small cell technology throughout the community, superseding the efforts of our neighboring communities. In addition to the fibre installation, Telus also installed “smart small cells”, a technology attached to poles in order to boost network and WiFi connectivity, range, and reliability throughout the community. This technology avoids the need for erecting any additional towers. For households, the direct fibre connection has paved the way for next-generation of home entertainment and innovative smart-home technologies that promise to transform our homes and enrich our lives in ways we’ve yet to imagine. Following Telus’ lead and our Smart21 accreditation, more partners are stepping forward. Abbotsford has always had and continues to build a knowledgeable workforce, committed to making an economic contribution. The city has multiple post-secondary institutions, most recognizable would be The University of the Fraser Valley (UFV). UFV enrolls over 15,000 students annually and has campuses and locations in Chilliwack, Mission, and Hope, and a growing presence in Chandigarh, India. CityStudio is an innovative City-University collaborative model that utilizes the energy and creativity of students and instructor expertise to find innovative solutions for local civic challenges. It is based on facilitating experiential projects to make the City of Abbotsford more sustainable, livable and joyful and the University more immersive and invested in the local community. In addition to this, and what makes Abbotsford a truly Intelligent community is how innovation and technology is being integrated into the classroom at the grade-school level. Abbotsford Virtual School (AVS) provides collaborative educational programs for Kindergarten to Grade 12 students and any BC resident wanting to complete courses to graduate. All adults can take some courses at AVS for free and courses can lead to an adult graduation. AVS offers online courses, as well as “any pace, any place” paper-based courses. The Rick Hansen Secondary, School of Business and Science is for Abbotsford high school Students interested in Business and STEM career fields. Partnering with UFV, the learning environment at Rick Hansen Secondary was transformed in the Fall of 2015 when it opened its doors as the first Science and Business school in the province. The school responded to the changing needs of students. The focus is preparing them for professional careers and further success in post-secondary studies. Classroom learning is more reflective of life in the work world so that students can direct their education in more practical ways. By working in teams and across multiple disciplines, students develop skills that are more applicable to what they’ll need in their future careers. These are just a few examples of how Abbotsford is not just Smart but is acting and preparing for an Intelligent future. 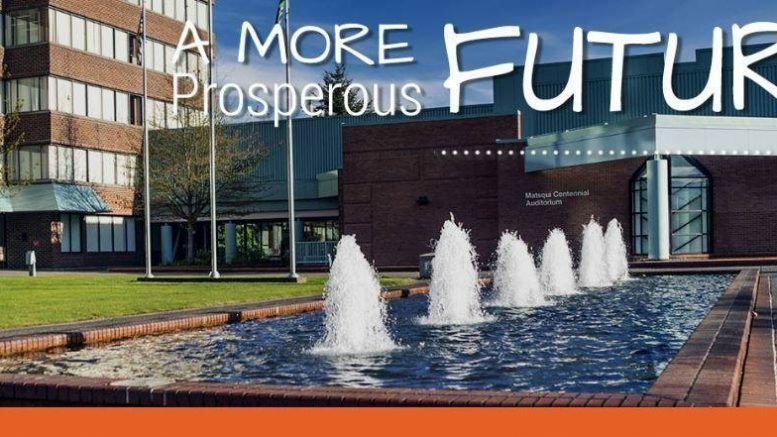 Innovation is at the heart of all economic plans in the Abbotsford community, this is demonstrated and led by the City of Abbotsford Mayor and Council and illustrated in the newly released strategic plan which can be viewed on our website. It’s one thing to say that you are “business-friendly” but it takes leadership, vision, partnership and grit to make this statement accurate. As a community we look forward to continuing our journey as part of the ICF Smart21 and we feel we’re definitely going to make a strong contender for the Top7 Intelligent Communities of 2019. Be the first to comment on "Op/Ed – Abbotsford’s Journey From Smart To Intelligent"